The year of the pig? Yesterday I had the pleasure of going to visit Industrial Brushware UK tucked away on a street at the back of Birmingham. I stumbled across the company during one of my frequent hunts on the web for anything approximating the print kit I was given in Japan. Brushes are and aren’t a problem: I had the sense to buy enough in Japan for myself in a wide variety of sizes, but I wasn’t planning to teach then and I certainly wasn’t planning to put together printing kits to sell. 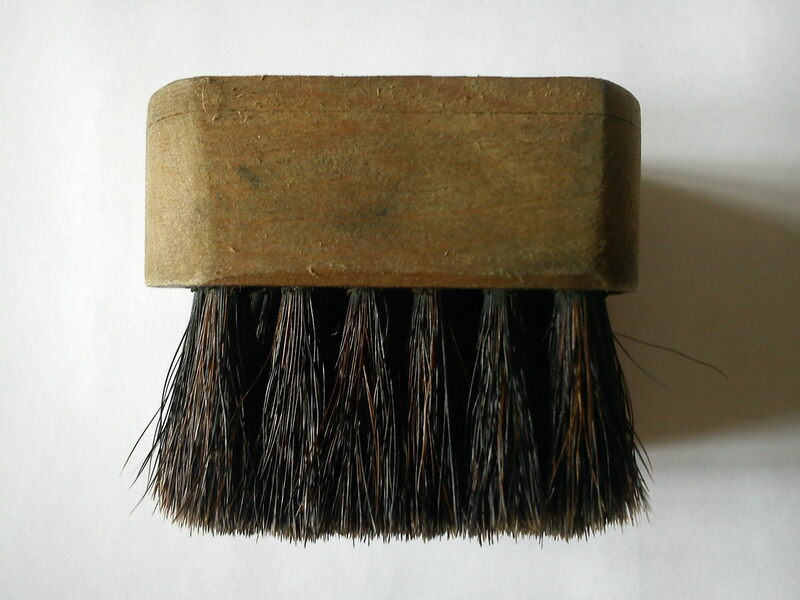 Japanese printing brushes are things of beauty. Here I am talking about burashi which look like a mini shoe brush. They are expensive, horsehair and you can buy one sort of burashi of one size in one shop in the UK (please mail me and tell me I am wrong: it would make my day). At the moment I am trying to decide if I should go with fine hog bristle (untraditional, but Mr Palmer says has a better ‘shape memory’ and it does feel lovely and soft – do the Chinese have silky pigs?) or traditional horsehair. Either way when I get the brushes they will need conditioning. laura, i’m so happy and impressed that you’ve embraced moku hanga so whole-heartedly! keiko must be so proud!